Mug cakes have grown in popularity in the last few years as a quick, convenient and comforting snack designed for impulsive indulgence. 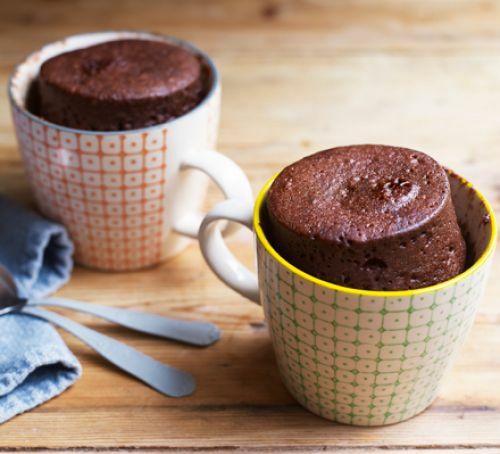 These individual-sized desserts are made by mixing the ingredients of a regular cake in a mug; the batter is then baked in the microwave for a couple of minutes until it rises. Pre-made mug cake mixes are now also available at grocery stores. As the breakfast market is challenged by concerns about health and struggles with a lack of innovation in baked goods, there’s scope for mug cakes to carve their niche as morning treats. Inspired by the high levels of biscuit consumption in Italy, Belvita has taken the global market by storm with its breakfast biscuits, first launched in 2010. Easily one of the greatest examples of product positioning of the last decade, Belvita made it permissible to eat biscuits for breakfast in new markets by focusing on messages around convenience, energy release and wholegrain. Breakfast cakes, on the other hand, remain largely unexplored, suggesting an opportunity to replicate biscuits’ success and create a new eating occasion. Vegetable flavours and inclusions could help position mug cakes as a healthy breakfast option, going some way towards alleviating concerns over sugar content. 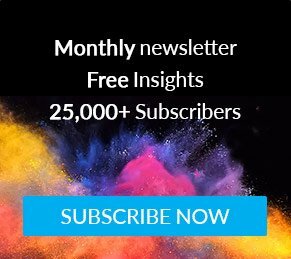 Indeed, about half of UK consumers are interested in seeing more cakes made with vegetables other than carrot (such as courgette or beetroot), while 73% of Italian consumers, 70% of Spanish consumers and 69% of French consumers agree that manufacturers should reduce the sugar content of cakes. 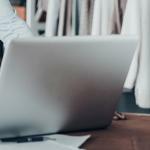 Time is a precious commodity and consumers are looking for shortcut solutions that are fresh, nutritious and tasty to fit in with their fast-paced lifestyles. 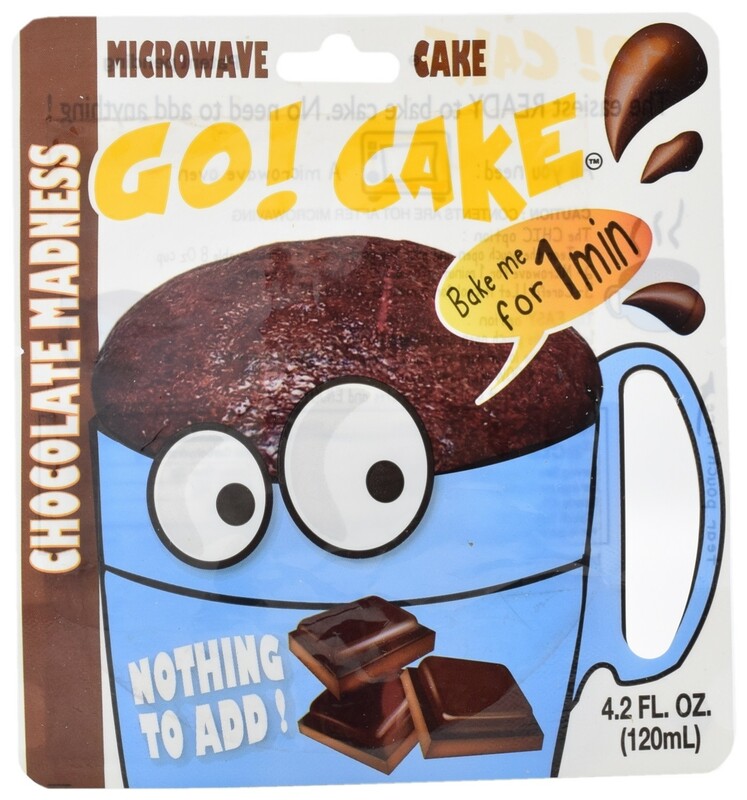 There are various mug cake solutions on the market, with differing levels of convenience. These include powdered products requiring the addition of ingredients such as milk, egg or water; liquid batters requiring no additions or mixing; products that require a cup to microwave the product in; products that come in a microwaveable cup; or products with plastic cutlery included for out-of-home consumption. The more convenient a breakfast cake solution, the more likely it is that time-pressed consumers will consider adding it to their repertoire. 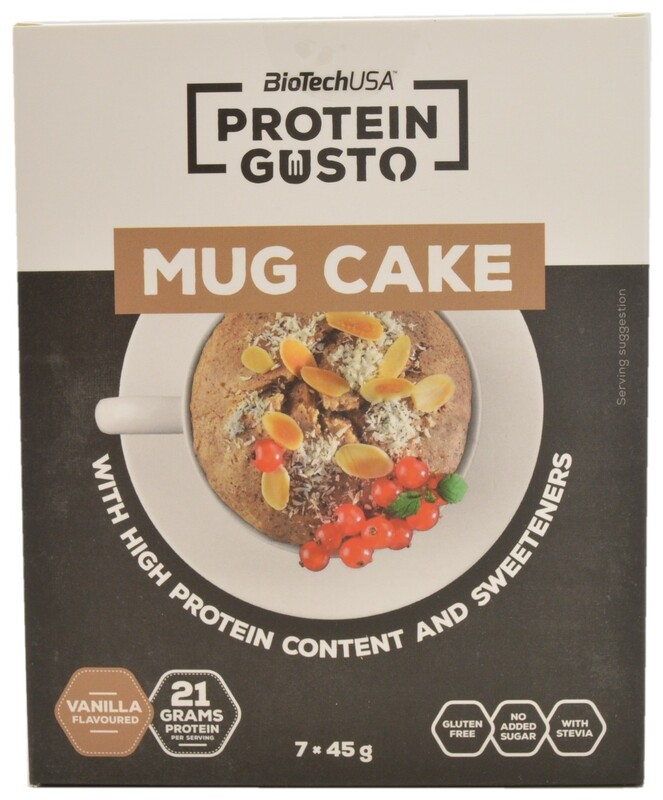 BioTechUSA Protein Gusto Vanilla Flavoured Mug Cake features a high protein content (21g per serving) and contains stevia instead of sugar. 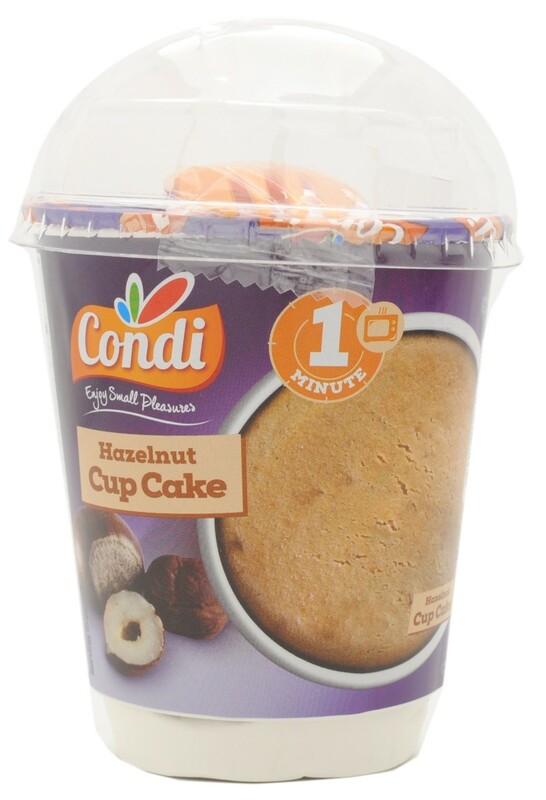 Condi Hazelnut Cup Cake is a powder preparation sold in France. It’s ready in one minute in the microwave and includes a fork for out-of-home consumption. Go! 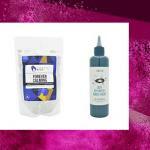 Cake Instant Chocolate Cake Mix is described as the easiest ready-to-bake cake with nothing to add. This liquid batter from France can either be decanted into a mug or microwaved in the base of the pouch. 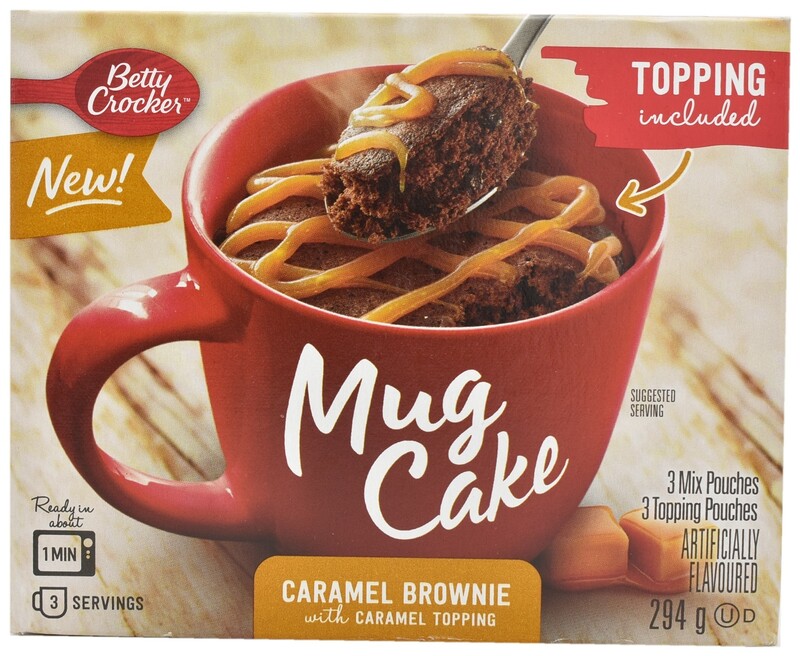 Betty Crocker Caramel Brownie Mug Cake adds an element of extra indulgence, as it comes with a caramel topping to add on top of the ready cake.